The preseason is almost done, or at least the part that means something. Teams are running through their dress rehearsals and there is serious fantasy impact week 3. Some performances are turning heads and unfortunately key injuries are occurring as well. Edelman is out for the year. Which Pats players will take over those touches? 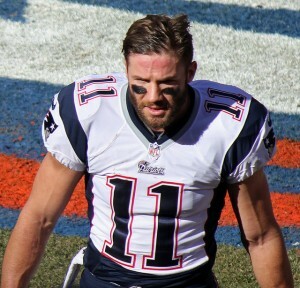 Julian Edelman is done for the season. Patriots receiver Julian Edelman tore his ACL in a non-contact injury Friday night. He has been declared out for the season and a lot of touches are up for grabs. The immediate thought is that Chris Hogan or Danny Amendola will grab these targets. I disagree with this analysis; Hogan is a boom or bust deep threat and Amendola is done. The Pats are going to lean on receiving backs and two tight end sets. The biggest beneficiary here is going to be Dwayne Allen. Spencer Ware suffered a knee injury as well. Chiefs running back Spencer Ware injured his knee and will "miss time" according to reports. He damaged his LCL and PCL and the timetable is unknown at this time. Rookie Kareem Hunt already appeared to be gaining playing time and this seals the deal. At least for the time being Hunt will start and is a solid RB2 with upside. Tyrod Taylor is in the concussion protocol. The Bills quarterback has looked awful this preseason after losing his top two receivers. Now he finds himself in the concussion protocol after a hard fall onto his head. Things are looking bad for Taylor owners so far, but there is room for improvement. When Jordan Matthews is healthy Taylor will have a bit more help, but beware when drafting. Chris Carson is playing like a lead back. Seahawks rookie Chris Carson has easily outplayed the competition at running back. Carson compiled 90 total yards against the Chiefs on Friday, including multiple long gains. He looks hungry (not Eddie Lacy hungry, but who is) and deserves your attention. This could be a preseason phenomenon, but the Seahawks need someone to step up and take the lead back role. Carson's ADP may see some real fantasy impact week 3. The Jets are bad; Bilal Powell is not. Powell is a popular sleeper candidate this season and probably the only Jet worth owning. He has a diverse skill set and Powell showed what he can do on Saturday. Powell had moderate rushing numbers but over 100 yards receiving and a touchdown. Most of that came on an 85 yard reception. John Brown is looking strong in preseason week 3. It might be time to buy the sleeper hype. Is John Brown really back? 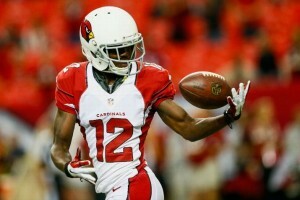 Cardinals receiver John Brown was looking like his old self on Saturday. He caught two balls for 49 yards and that is not a terribly impressive stat line. The thing is, both of those catches were for touchdowns. He caught one from Carson Palmer and another from Drew Stanton. Brown looked fast and evasive, just like vintage John Brown from his 1,000 yard season. The fantasy impact week 3 could be a bump in Brown's ADP.